Complete Canine Training is dedicated to our clients and their dogs. Our goal is to provide the best dog training in Colorado so that you and your dog can live happily in a harmonious environment together. We pride ourselves on staying up to date on the best dog training practices and techniques. We attend conferences annually and all of our trainers go through a rigorous evaluation and training process. We can ensure you that your dog is in great hands with us. 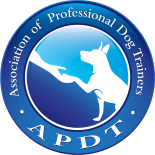 When it comes to dog training our standard is excellence and that standard is non-negotiable. We strive for perfection in everything that we do, we refuse to cut corners and we guarantee that when you start working with us you will receive the best dog training in Colorado, from the best dog trainers in Colorado. Get in touch with us so we can go over any questions you have, your goals, or anything else that is on your mind. We are here to support you and your dog.